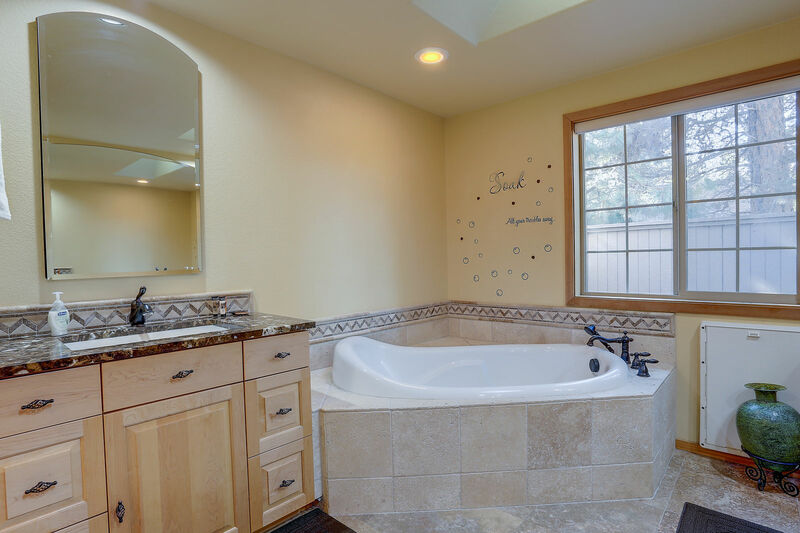 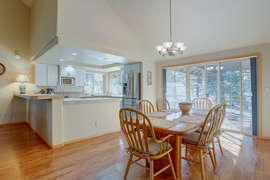 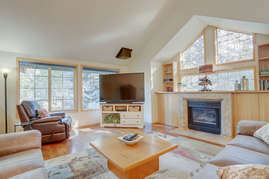 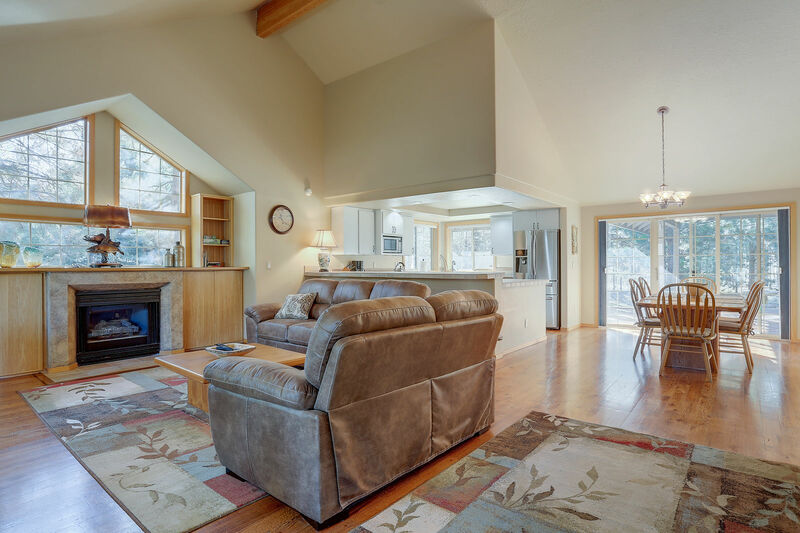 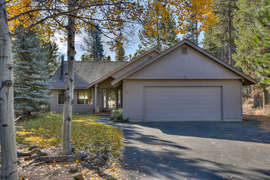 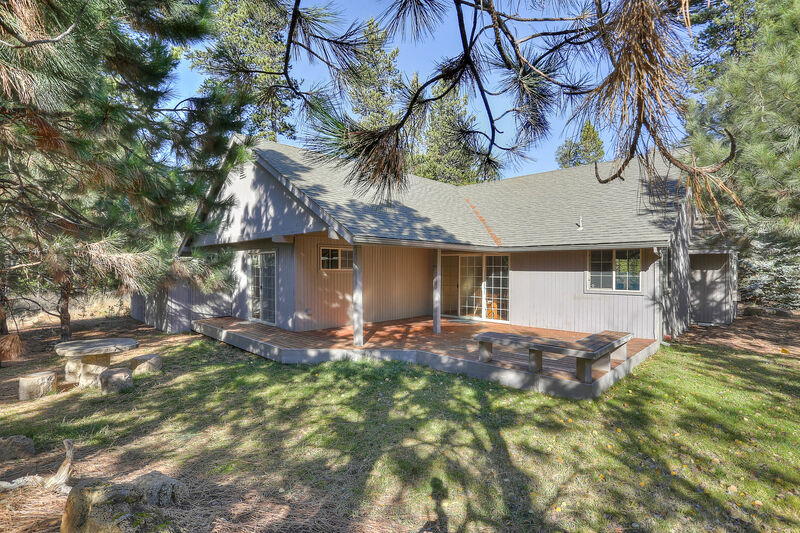 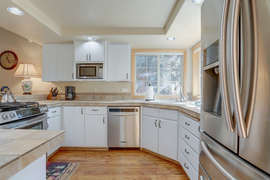 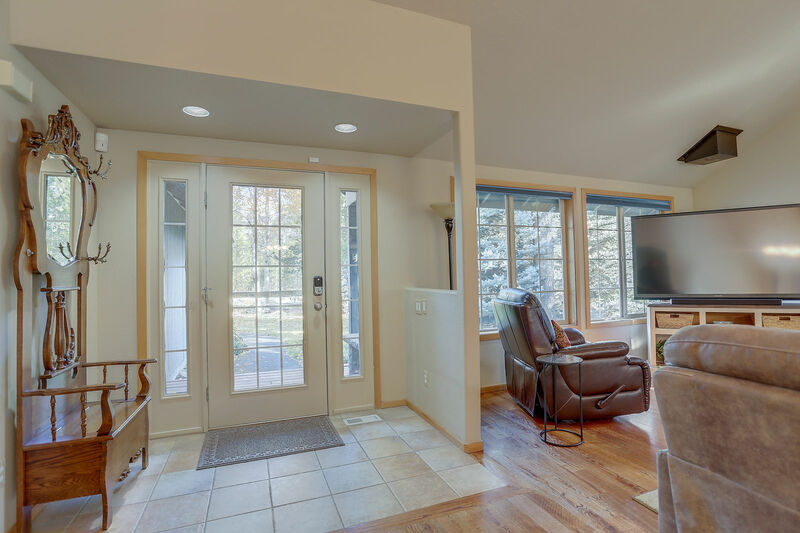 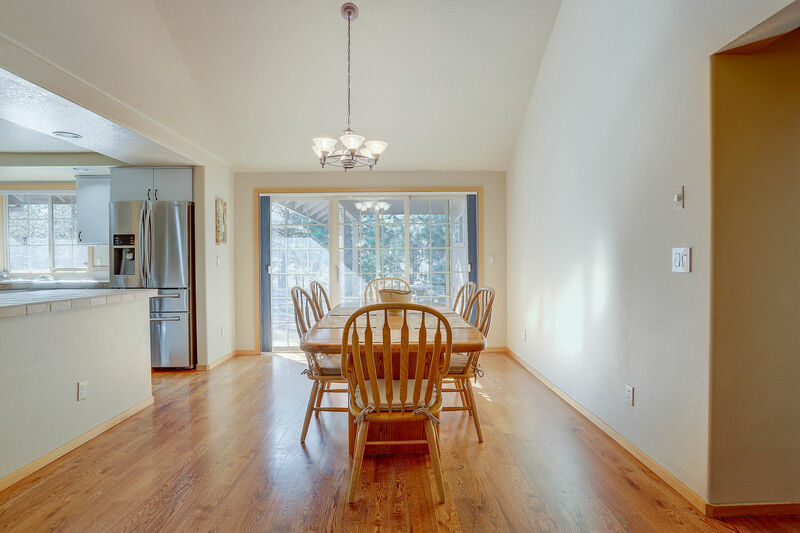 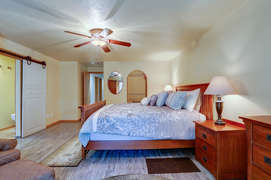 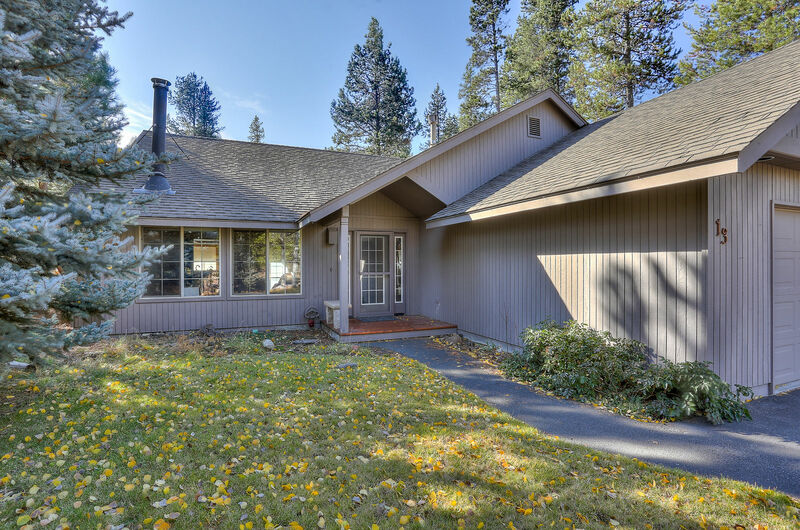 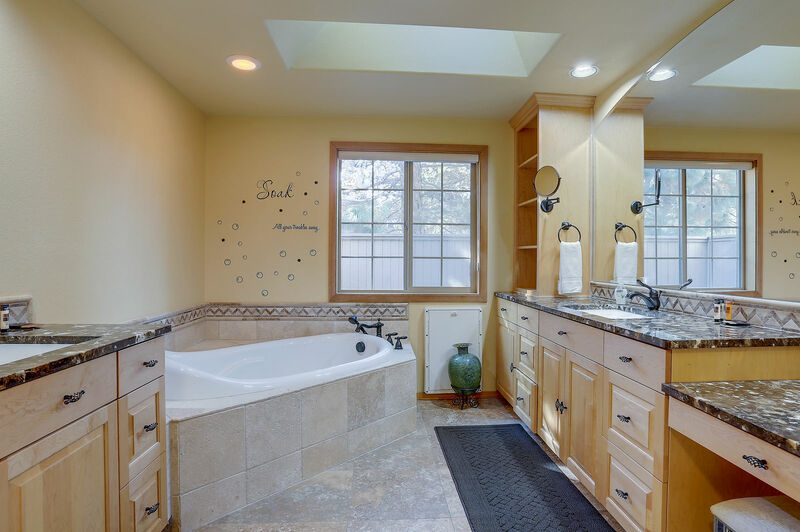 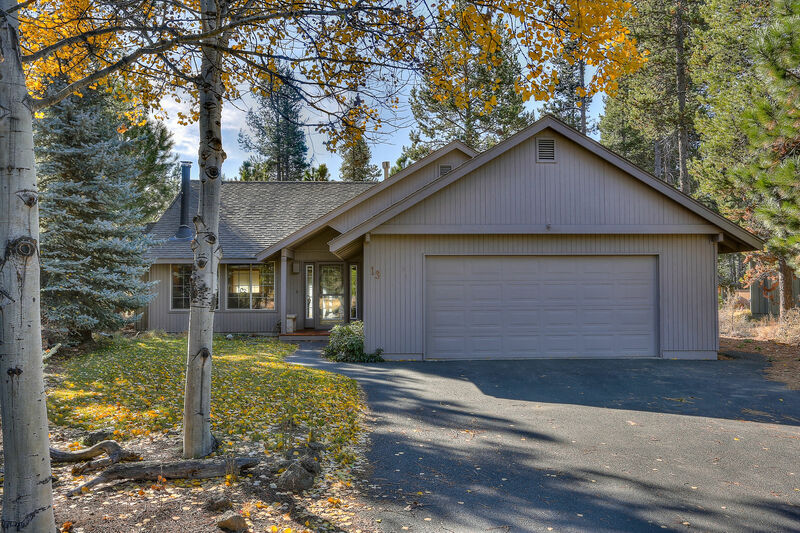 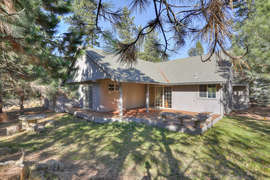 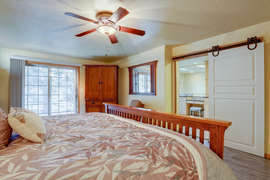 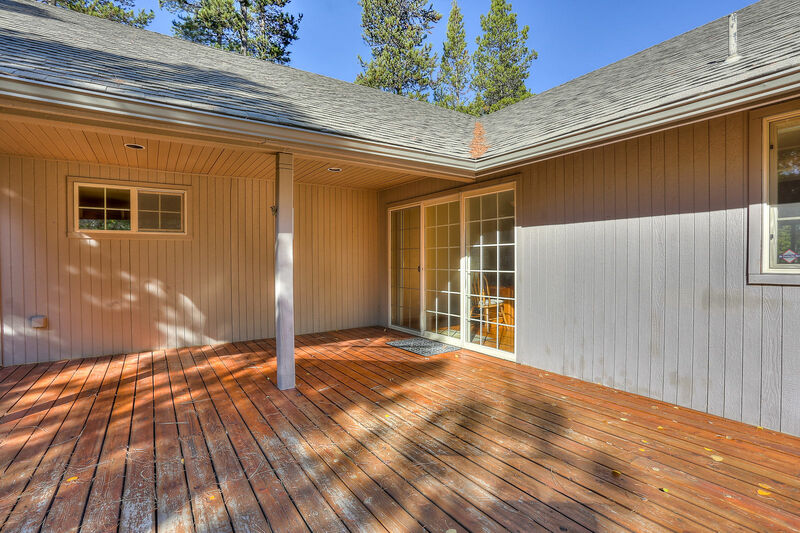 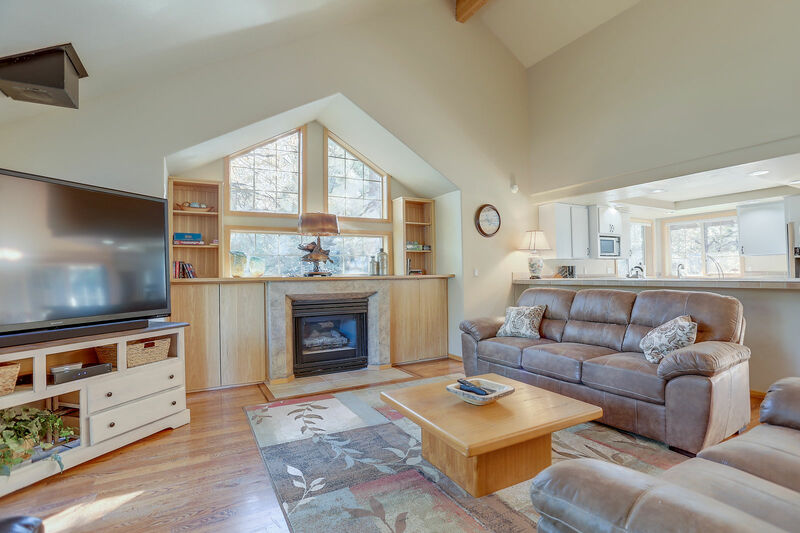 13 Ollalie Ln is a beautiful single level home located in the quiet north end of Sunriver at the end of the cul-de-sac! 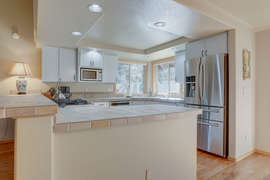 3 bedroom, 2 bath, 1800 square feet. Open vaulted great room with gas fireplace. 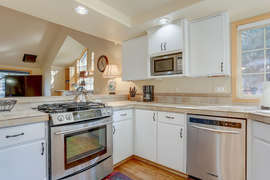 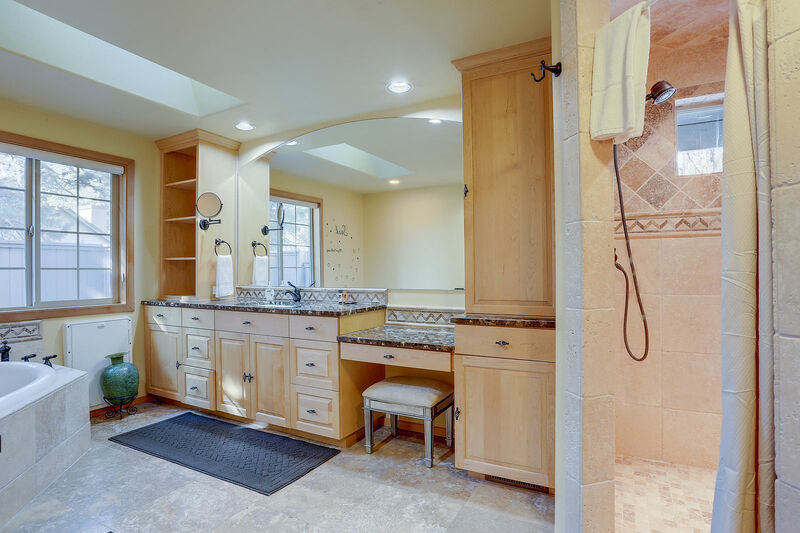 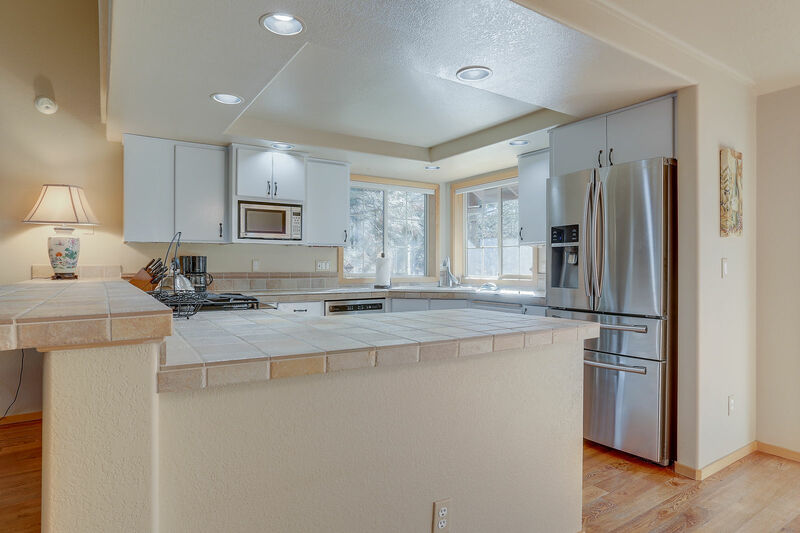 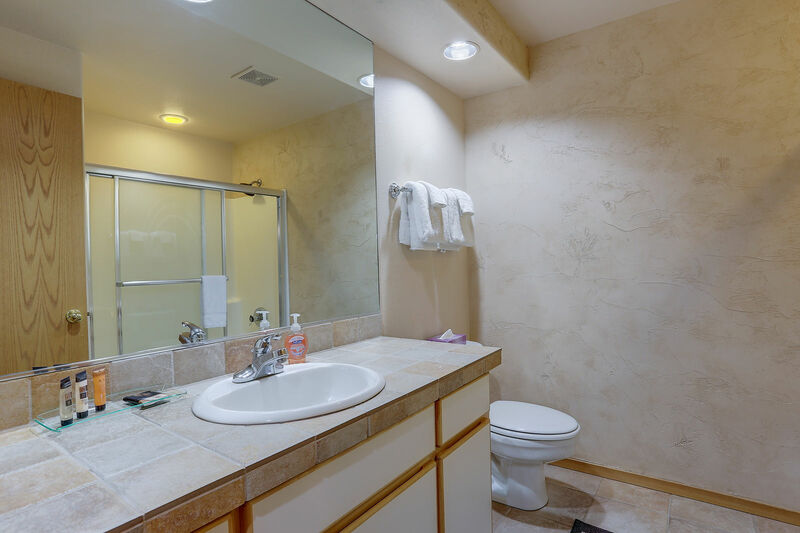 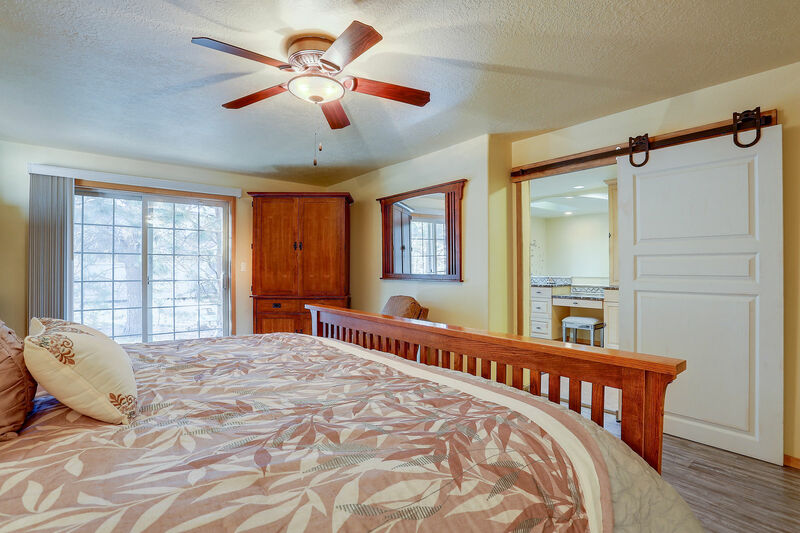 Open floor plan with remodeled kitchen, stainless steel appliances, hardwood floors, and over-sized master suite. 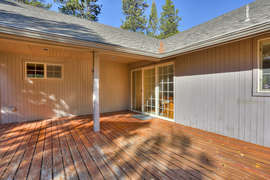 Peaceful outdoor space with lovingly maintained landscaping. Built in dog run. 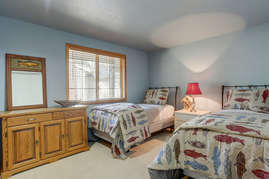 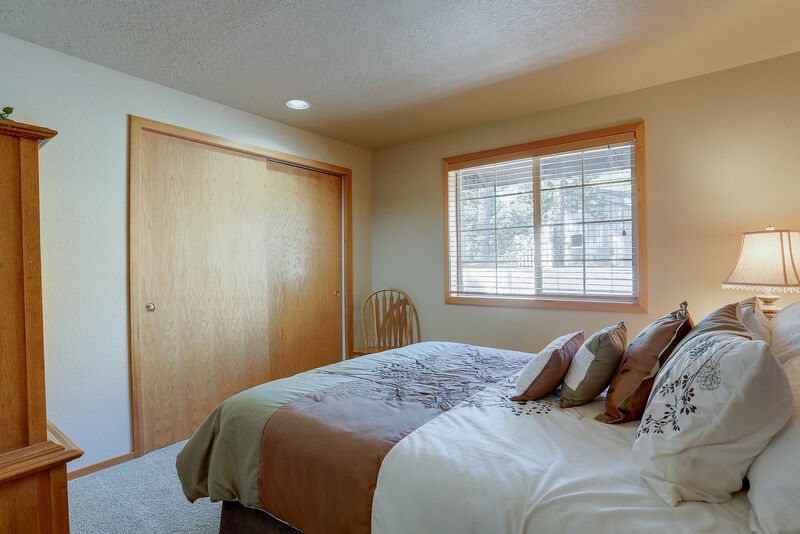 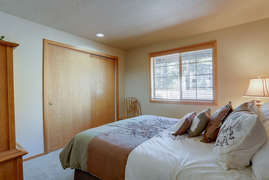 Easy access to Cottonwood Rd and all the North end amenities.